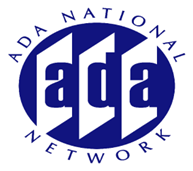 Special attention is sometimes needed when applying certain accessible route provisions in the 2010 ADA Accessibility Standard and the Architectural Barriers Act Standard. This session will include an advance level discussion of the accessible route provisions and focus on issues such as overlapping clear space requirements and door maneuvering clearances, exterior routes, among other issues. Presenters will highlight some of the more frequently asked questions and also respond to your questions submitted in advance. Participants interested in this session are encouraged to review archived sessions on this topic for a review of the basic provisions. (see http://www.accessibilityonline.org/Archives/index.php?app=4&type=transcript&id=2010-10-07).